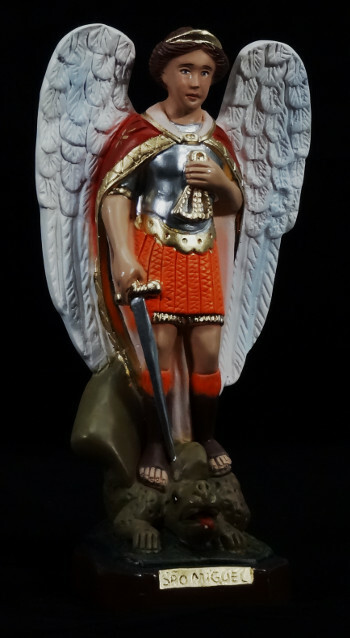 Saint Michael is an archangel in Jewish, Christian, and Islamic teachings. 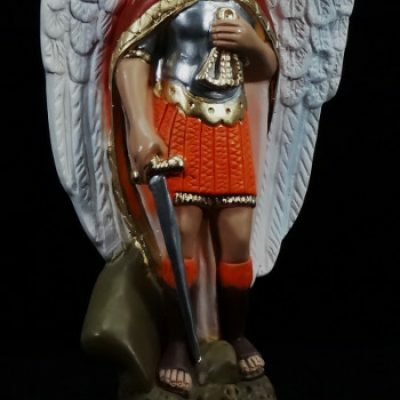 He is considered by many as the leader of the Seraphim, as he was the head of the army in the battle against Satan and his followers. In Hebrew, Michael means "who is like God", and he is seen as the patron protector of the Church, as well as the patron for soldiers, police officers, mariners and paratroopers. In the early Christian era, people would give him their sick to heal, and some of his earliest temples were known for their healing waters.